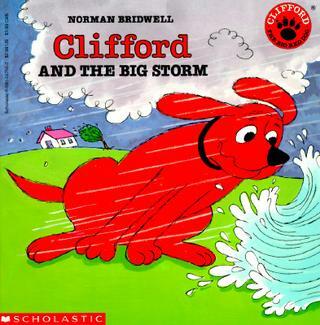 When a hurricane strikes while Clifford and Emily Elizabeth are having fun visiting her grandmother at the beach, Clifford the Big Red Dog knows just what to do to keep everyone safe. This is a good classic Clifford book. My 2 1/2 year old knows it by heart. I could be little scary to children who are afraid of storms. Emily and her grandma have to go to a shelter - it might make kids worry too much over an oncoming storm.